Dust off your saddle bags. 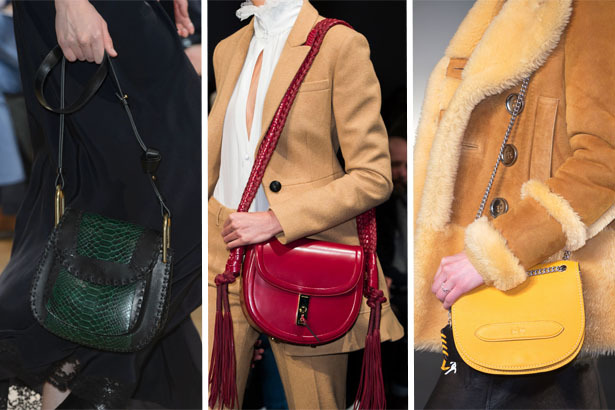 The classic crossbody is gearing up to be the biggest handbag trend for fall, thanks to a 70s revival that’s been pushing forward since Spring 2015. On the runways in February, we saw everything from glossy, fringed saddle bags at Altuzarra to sleek, minimalist options at Coach. But no discussion about saddle bags would be complete without a nod to Chloe, the ultimate purveyor of the crescent-shaped silhouette. This season, Creative Director Clare Waight Keller unveiled a slew of covetable bags that included oversized carryalls in suede or leather and compact crossbodies accented with tassels, studs and exotic skins. Fashion bloggers like Aimee Song and Chiara Ferragni have already jumped on the handbag trend this summer. But they’re not the only ones. To find out who else is getting a head start on the fall trend right now and to shop our favorite picks, click on the gallery above.